As you might have seen above, we like to tweet on professional grounds. Follow @SchwarzUlrich if you want to keep up-to-date with our interests and activities. In the winter term 2018/19, our group will offer three lectures and one seminar, covering a very broad range of interesting subjects. For more information on our teaching activities, please visit our teaching page. 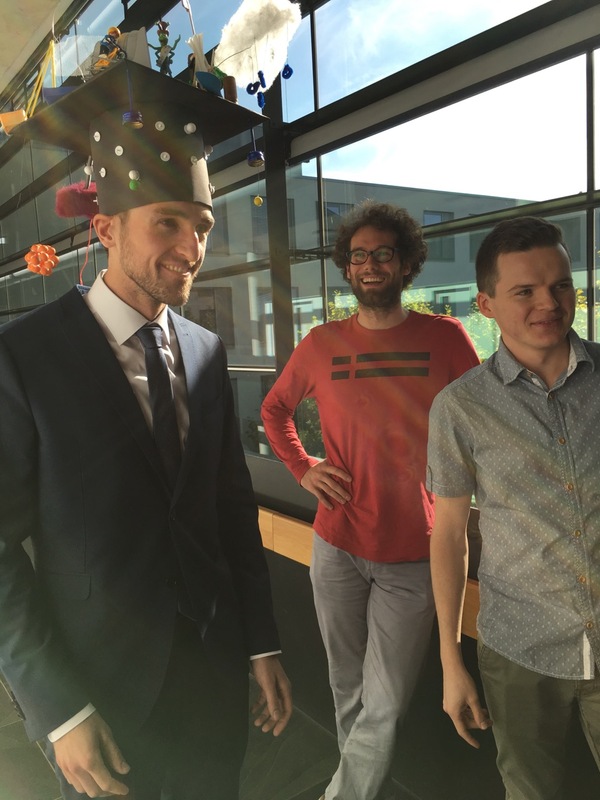 Congratulations to Nikolas Schnellbaecher and Dimitri Probst for the successful defense of their doctoral theses on Oct 18 2017 and July 11 2018, respectively. In recognition of World Malaria Day on April 25 2018, the Biophysical Journal Blog has reported on our joint work with the Frischknecht group on the physics of the malaria parasite. Our lectures on Statistical Physics and Theoretical Biophysics both come with scripts, which are especially useful if you consider to take the oral master exam on these lectures. Check out more on our scripts website that has been growing over the years into a (hopefully) helpful resource. For newcomers in our field we recommend the up-to-date scripts on theoretical biophysics (our favorite), statistical physics, stochastic dynamics and non-linear dynamics. For a general introduction into our work, we recommend the review by Ulrich Schwarz on the physics of cell adhesion that appeared in the Physik Journal 7/2015 (in German). We also recommend the youtube video of his talk on the physics of the cell by the DAI Heidelberg (in German). For more information on our published work, please visit our publications page. For those interested in conference activities in our field, we recommend our collection of links to past and future conferences in our field (note that this is a private activity, the collection is anecdotical and no claim to completeness is being made). Office hours (Sprechstunde) are on request, please contact Ulrich Schwarz. Congratulations to Nikolas Schnellbaecher and Ulrich Schwarz, who received the teaching awards of the department of physics and astronomy for the winter term 2016/17 for outstanding performances when teaching as tutor and lecturer, respectively. At the 2017 annual meeting of the German Physical Society at Dresden, Germany, Ulrich Schwarz spoke on March 24 2017 in the Physics of Parasites session on shape and adhesiveness of malaria-infected red blood cells. In addition he organized a focus session on Optogenetics for the Cytoskeleton on March 22 2017. At the 2017 annual meeting of the Biophysical Society at New Orleans, USA, Ulrich Schwarz talked on February 14 2017 in the Biophysics of Malaria Parasites symposium on the role of cell adhesion during the malaria parasite lifecycle in the human host. 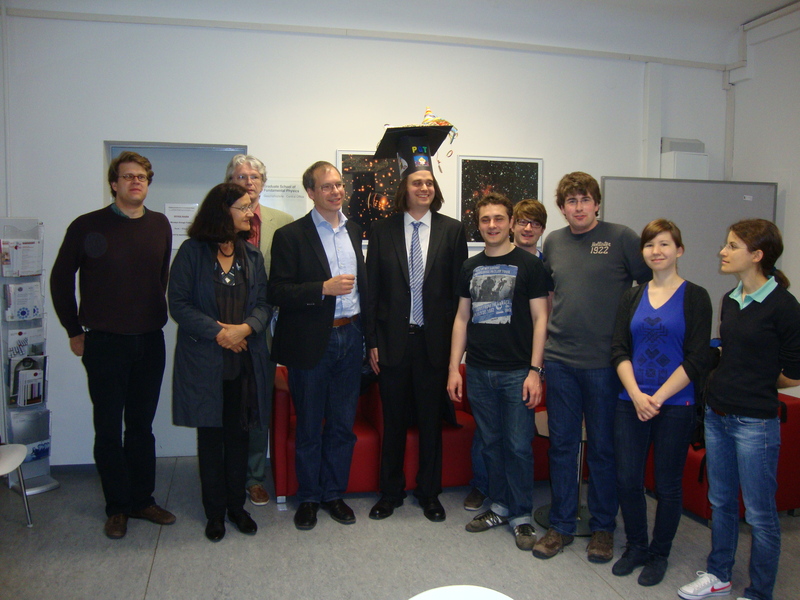 In the academic years 2015/16 and 2016/17, Ulrich Schwarz served as a vice dean of the faculty of physics and astronomy. From September 25-30 2016, we organized a Bad Honnef Physics School on Self-assembly in soft matter and biosystems, together with Regine von Klitzing from TU Berlin. Click here for the poster and here for the report in Physik Journal by Nikolas Schnellbaecher and Dmitrij Stehl. In July 2016, a special issue has appeared in FEBS Letters on Integrative analysis of pathogen replication and spread that includes two review papers from our group, one on adhesion of malaria-infected red blood cells and one on multiscale modelling of viral systems. 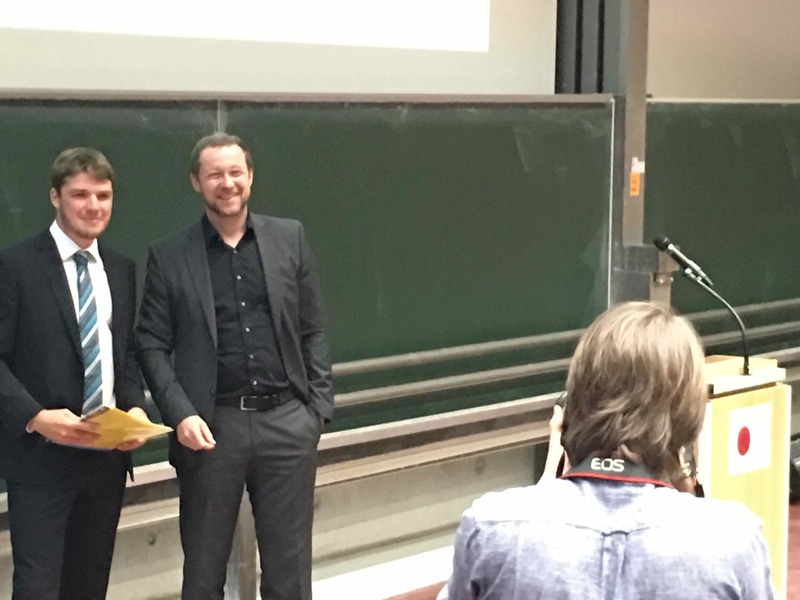 Congratulations to Fabian Fuchs, who received the 2016 Otto-Haxel prize for the best theory master thesis in the Department of Physics and Astronomy; to Christoph Brand, who successfully defended his thesis in Feb 2016; and to Marco Linke, who successfully defended his thesis in Jan 2017. On April 7 2016, our paper on computer simulations of cell ensembles on micropatterned substrates has been published by the open access journal PLoS Computational Biology. Check out the paper or the press release. 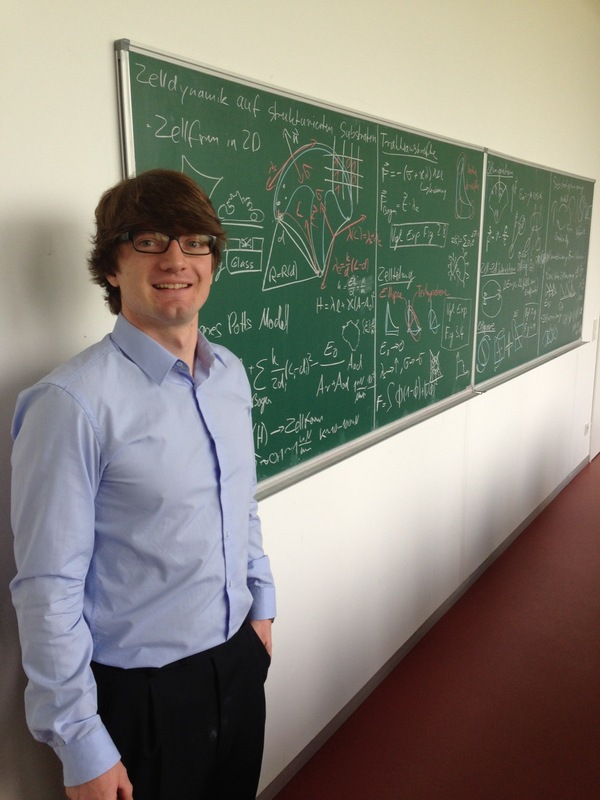 On October 27 2015 at 8 pm, Ulrich Schwarz gave a public talk at the Deutsch-Amerikanisches Institut (DAI) at Heidelberg on Physics of the cell (in German). This talk is now online at youtube. Also available online is his talk at the Newton Institute Cambridge in September 2015 (in English with a strong Germany accent). A new initiative (including a monthly lecture series) has been started at Heidelberg on the Origin of Life. Click here for more information. On October 14 2015 at 4 pm, Rob Phillips from Caltech gave a great talk in the BioQuant Slow Science series. Click here for the poster. 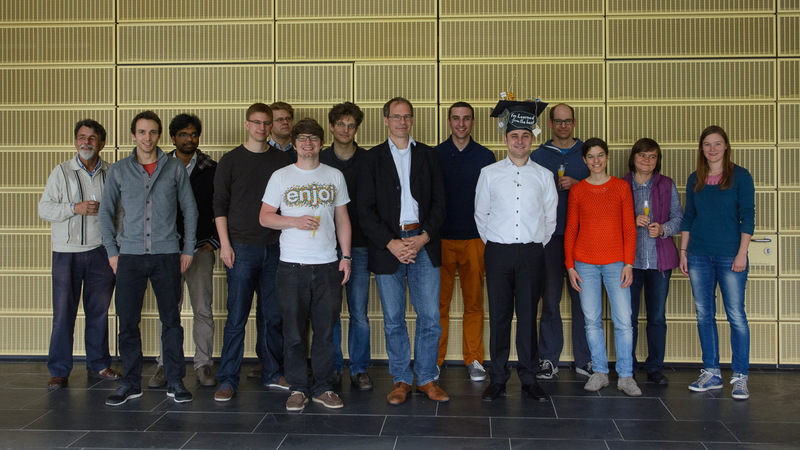 Our BIOMS-EMBL-conference on Physics of cells and tissues 2015 - modelling meets experiment (organized jointly with Francois Nedelec from EMBL Heidelberg and Matthias Weiss from Bayreuth University) took place from Sept 30 - Oct 2 2015 at EMBL Heidelberg and was dedicated to the memory of Klaus Tschira. Click here for the poster. For a documentation of this event, check the twitter line below for hashtag #EMBLBIOMS. Our workshop on collective cell migration (organized together with Prof. Frischknecht from Medicine and Dr. Böhm from Physical Chemistry) took place on July 14 and 15 2015 at the IWH, a beautiful old villa in the Old City of Heidelberg. Click here for the poster. For a documentation of this event, check the twitter line below for hashtag #CCM_HD_2015. 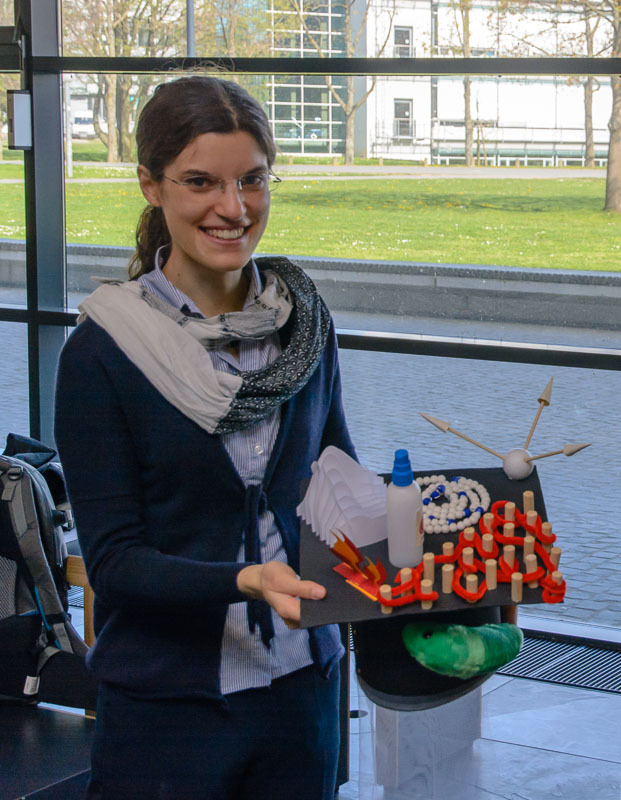 Congratulations to Anna Battista and Philipp Albert for the successful defense of their doctoral theses on April 15 and May 27 2015, respectively. 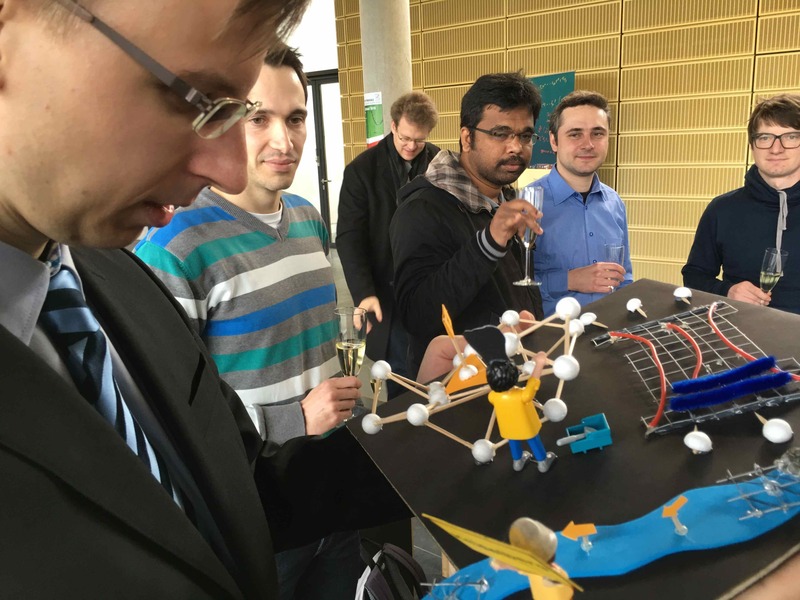 Congratulations to Heinrich Klein for the successful defense of his doctoral thesis on Feb 3 2015. The Schwarz group was part of the EU FP7 project MEHTRICS on combining RNAi and micropatterns techniques for cell-based high-throughput screens (expired Jan 2015). Read more in the press release by the University of Heidelberg (in German) and in the press release by our SME partners (in English). Effective Jan 1 2015, Ulrich Schwarz has joined the editorial board of Physical Review E (office term until Dec 31 2017). Ulrich Schwarz has been elected member of the senate of Heidelberg University (office term September 2014 - October 2018). On Oct 22 2014, our paper on malaria parasite migration has been published and highlighted by Physical Review E. For more information on our published work, please visit our publications page. Together with Martine Ben Amar from Paris and Alain Goriely from Oxford, Ulrich Schwarz organized a mini-colloquium on Morphogenesis and Cell Mechanics at the Condensed matter conference at Paris, August 24-29 2014. Together with Viola Vogel from ETHZ and Alexander Bershadsky from Weizmann, Ulrich Schwarz organized symposia on cell-substrate interactions and the role of the cytoskeleton in adhesion, respectively, at the World congress of biomechanics at Boston, July 6-11 2014. 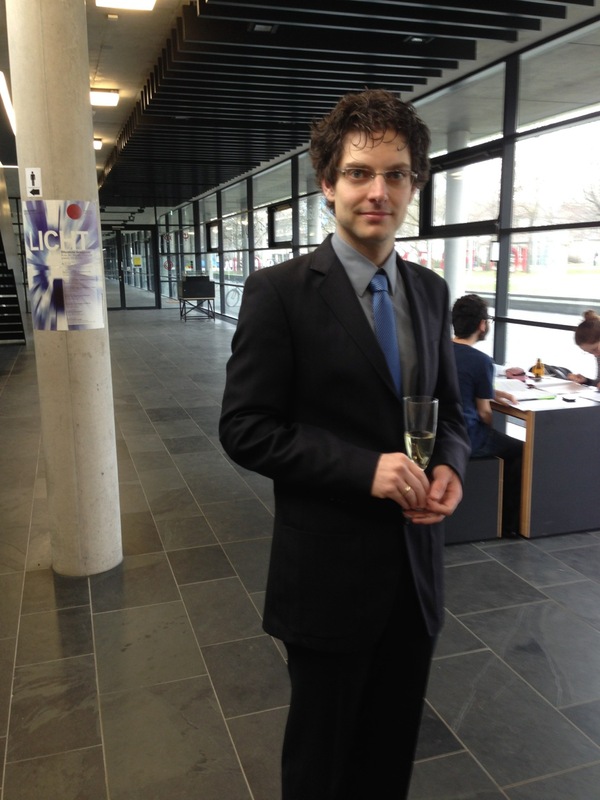 Congratulations to Jerome Soine for the successful defense of his doctoral thesis on May 7 2014. As editor of the New Journal of Physics, Ulrich Schwarz explained some of the highlights in the field of soft matter and biophysics. Together with Pascal Silberzan from Institut Curie at Paris and Celeste Nelson from Princeton, Ulrich Schwarz has guest-edited a themed issue in the journal Soft Matter on patterned environments for molecules, cells and tissue. Our recent work on particle-based simulations of the Min-system has been highlighted by the Smoldyn website (PDF). 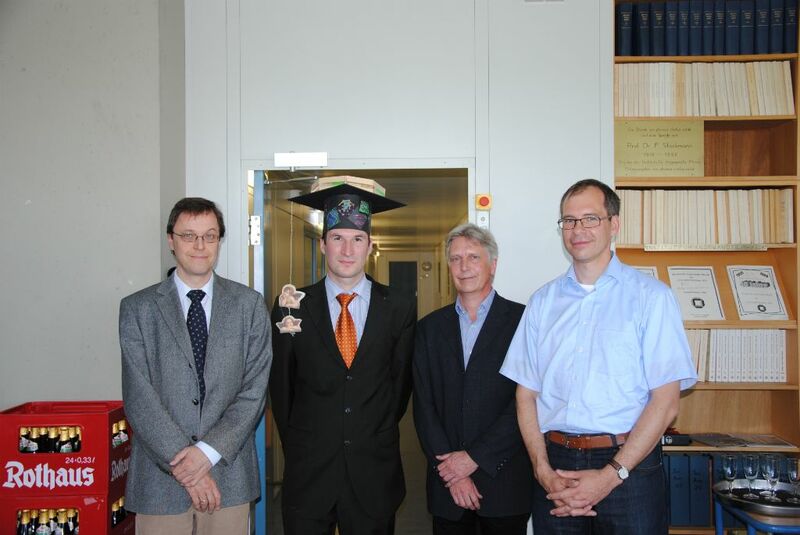 Congratulations to Max Hoffmann for the successful defense of his doctoral thesis on Dec 5 2013. Our recent collaboration with the Gerisch group has been highlighted by the Smoldyn website (PDF). Together with Gerhard Gompper from FZ Juelich, we have organized a DPG physics school on Forces and Flow in Biological Systems, 23 - 28 September, 2012, at Physikzentrum Bad Honnef, Germany. 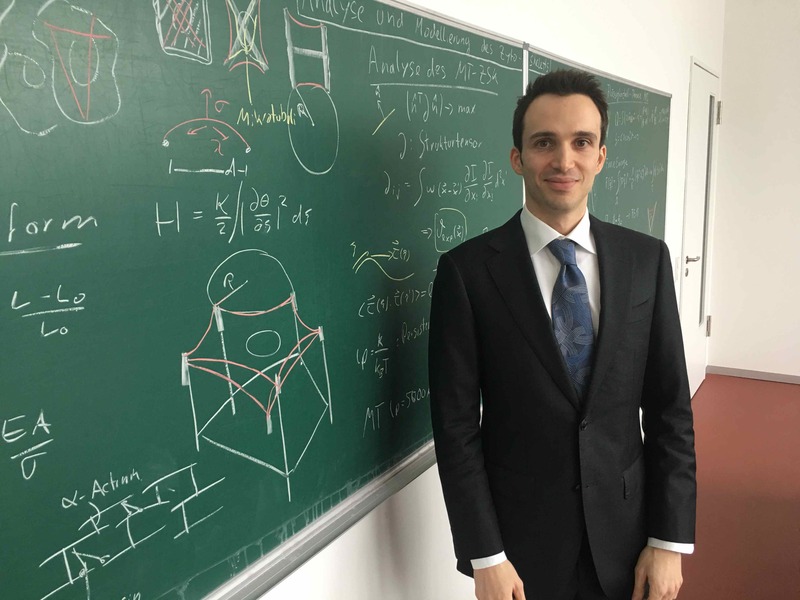 This school offered an introduction into current applications of continuum mechanics and related techniques to biological systems for physics students (typically master students and beginning PhD-students). Click here for the website. 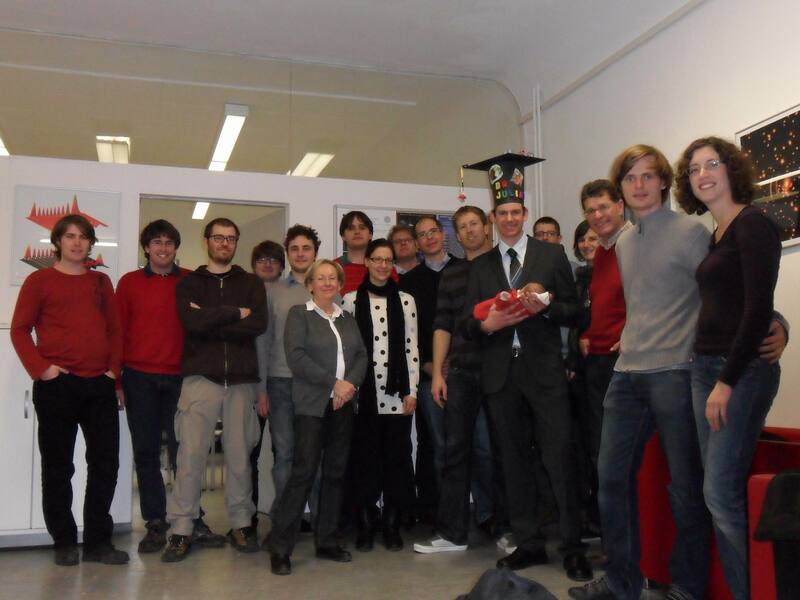 Congratulations to Philip Guthardt Torres for the successful defense of his doctoral thesis on May 9 2012. PDF-file of the presentation on biophysics at Heidelberg given at the student days on April 10 2012. 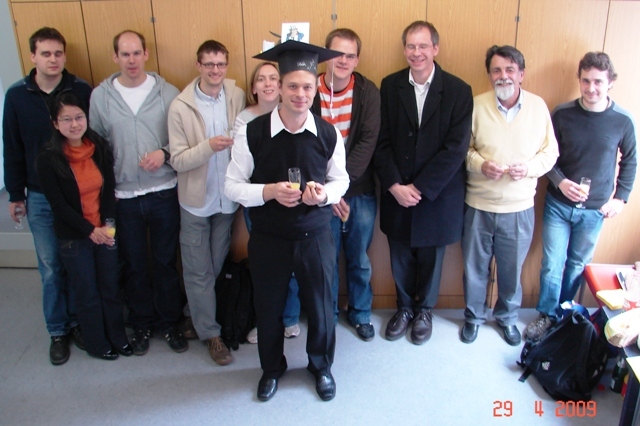 Congratulations to Julian Weichsel for the successful defense of his doctoral thesis on Dec 8 2010 (and also for the birth of his daughter just four days before the defense). 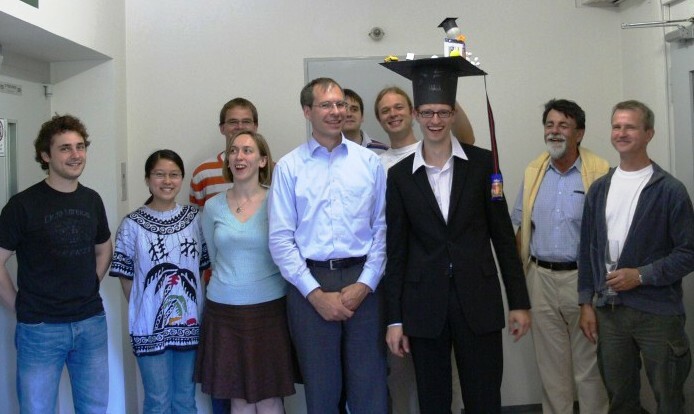 After Achim Besser (April 29 2009) and Jakob Schluttig (June 3 2009), he is the third PhD of the Schwarz group at Heidelberg. 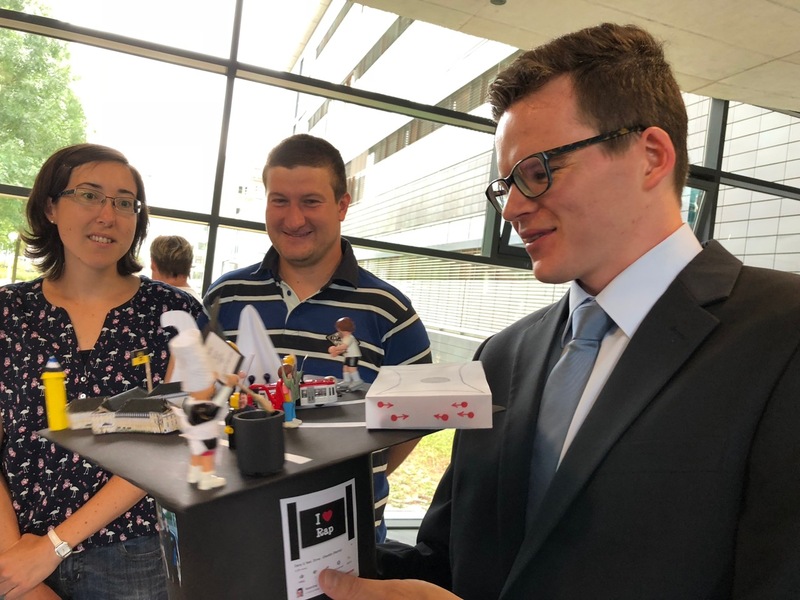 We also congratulate Thomas Striebel for the successful defense of his thesis at the Karlsruhe Institute of Technology on May 13 2011 (supervised jointly with Martin Bastmeyer and Martin Wegener). The International Conference for Systems Biology 2011 took place at Heidelberg and Mannheim in late August. 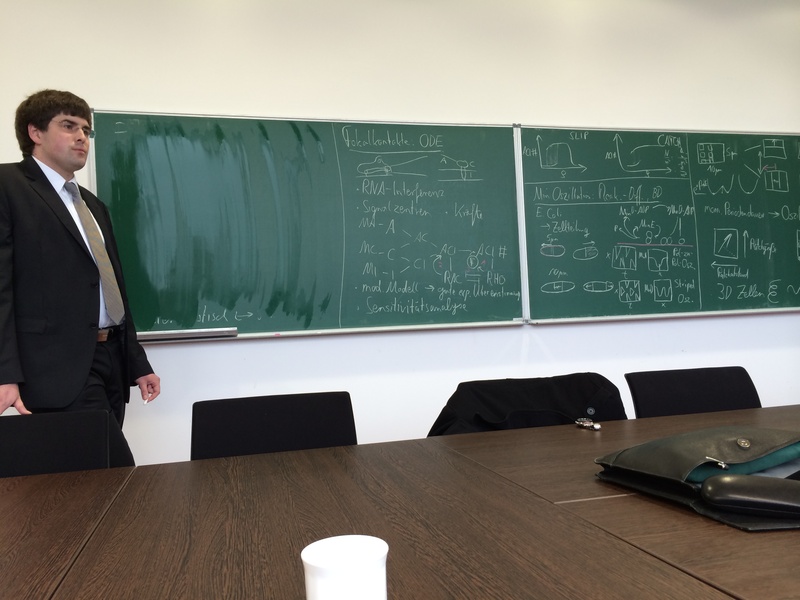 Together with Gaudenz Danuser from Harvard Medical School, Ulrich Schwarz organized a session on cell mechanics. We thank all speakers for their great contributions. On April 26 2010, a special issue on cell-substrate interactions has appeared online at Journal of Physics: Condensed matter, with Margaret Gardel and Ulrich Schwarz as guest editors. To learn more on our recent work on modelling the growth of actin networks, please read the press release (German, English).